Ah, Christmas, filled with mice pies, board games, stupid jokes and family and friends popping in unexpecedtly on an almost daily basis. What do you do when guest turn up unannounced at Christmas? Or maybe you knew they were coming (lucky you) but you didn’t expect them to bring an overnight bag. What do you do? Pull up those Christmas stockings, get the kettle on and get ready to be given all the answers when it comes the having to entertain unexpected guests this Christmas! Keep your guests entertained by letting them entertain themselves this Christmas! Take them out to a local Christmas market or your nearest shopping centre. It’s not unusual for me to bundle guests out the door and over to visit Liverpool One, they can grab a hot chocolate and pose by the Christmas tree. Maybe snag a table for lunch and let someone else take care of the washing up. This works a treat, especially with guests from out of town who haven’t seen your local decorations or still have treats on the Starbucks festive menu to try! Have a look online at what’s happening in your area and make a note just incase you need to entertain your visitors. You’ve had your 5 minute warning, they’re parking the car and you’ve got no time at all to get your place sorted! Don’t loose your Christmas cool, start by arm wiping every surface, knocking dust, rubbish and knick knacks into a bag which you can then hide in the room you’re going to dump their coats in (nobody else ever goes in this room). Get the scented candles lit. Throw the pillows at the wall to fluff them up and air out your frustrations at last minute visitors. Put the kettle on and grab the rubbish out the kitchen bin, be popping it in your wheelie bin with a smile on your face as their mitten clad hands wave frantically from the front gate. Nailed it. Pick up extra holiday snacks this festive season, perfect to whip out with a brew when the neighbours drop by with your christmas card. Mince pies, Pringles, nuts etc. I always keep a tub of chocolates under the coffee table and some Mr Kipling Christmas special editions in the cupboard. Hey, if they don’t eat them all then more for you once they’ve left! Struggling to make any more small talk? Or you can’t shut your visitors up for 5 seconds? Wack on a Christmas movie! There is no such thing as a bad Christmas classic. From Miracle on 34th Street to National Lampoons Christmas Vacation or The Polar Express, make sure everyone has a drink in hand and a mince pie within arms reach and rejoice in 90 minutes of bliss. We’ve all been in that situation, when someone passes you a beautifully wrapped gift that you weren’t expecting at all. You look under your tree, no tag has their name on, and although we don’t give to receive, they’re smiles are starting to turn upside down as their outstretched hands are still coming up bare. “Let me just go grab yours” you say with a smile. Run up stairs and fly around the spare room looking for anything and everything you could pop in an ‘it was always here’ gift bag. Put your festive fretting to one side and set up an emergency gift box in said spare room. Fancy biscuits, bottles of gin, posh note books, a pretty scarf and, of course, socks. The emergency gift essentials will have every random gift giver covered and going home smiling. And what you don’t gift, is a gift to yourself! If all else fails you could always avoid the unplanned guests by turning off the tree lights and hiding behind a wall until they go away….but that’s not exactly in the festive spirit of things is it? 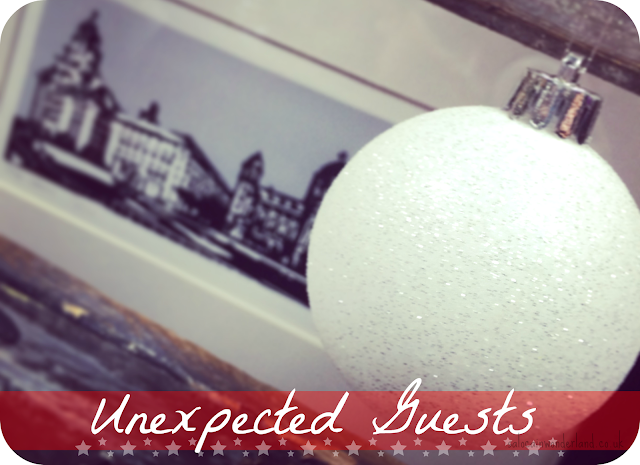 How do you prepare for unexpected guests over the holiday season? 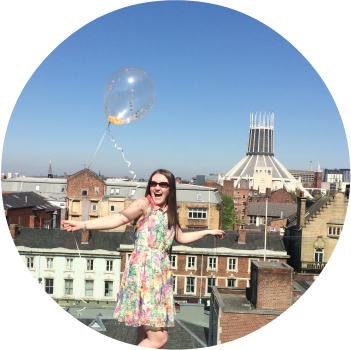 This post is in collaboration with Liverpool One. All thoughts and opinions are 100% my own. See my disclaimer policy here. I love the emergency gift idea! Would never have thought of that but it makes so much sense. There’s always that one person that slips your mind when it comes to presents, isn’t there?